Read it. Read it. Read it. This is probably the best Young Adult novel that I’ve read in a long time. Told from the alternating perspectives of twin brother and sister, Noah and Jude, you are piecing together what happened to the twins through incredibly visual narrative . Both artists, Noah and Jude see the world in swirling colours and magnificent pieces of art. 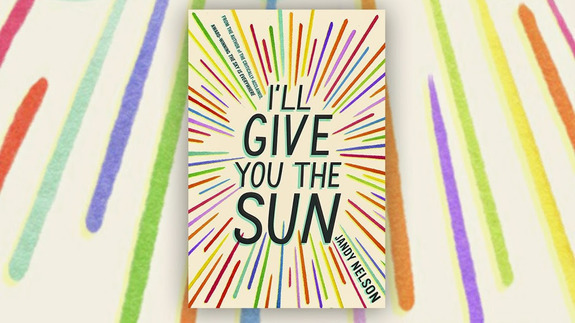 I’ll Give You The Sun is one of the most beautifully descriptive books that I’ve read. Seeing things as artists do, you can’t take the description literally, a lot of it is hyperbolic or metaphorical. If you don’t enjoy overwhelming use of artistic metaphors then this might not be the book for you, but personally I found it stunning. I honestly can’t do this book justice, you will just have to read it. It is one of those books that might even change your perspective on life.